The UK's most competitive hire kart series, the Vodafone DMAX Championship, is all set to burst onto the Tarmac for its fourth thrilling season. After 2012’s sensational total of 1225 entrants, 60,000 racing miles, 10 rounds at 8 different circuits and six worthy champions, the 2013 series is gearing up to be the biggest and best yet. Since it first stormed onto the grid in 2009, the Daytona Vodafone DMAX Championship has seen an unprecedented increase in competitor numbers year-on-year. In 2010 an average of 55 drivers raced at each of the ten rounds – in 2011 that number increased to an average of 80 drivers per race and in 2012 a staggering 124 drivers on average entered each round – an amazing increase of over 100 percent in just two years. So what is the secret behind the series’ meteoric success? Devised by the Daytona Motorsport Group in 2009, the Vodafone DMAX Championship was designed to offer a unique opportunity for serious drivers to compete in a professionally run series at a fraction of the expense of running their own race karts. Daytona Motorsport owns and manages the superb fleet of state-of-the art DMAX karts and thus can guarantee a level, yet highly competitive, playing field at affordable prices. Despite the reasonable cost, absolutely no compromise is made on performance; the karts are designed by World Championship winning manufacturer Birel and powered by legendary Rotax 2-stroke engines. With exceptional handling and agility, plus top speeds of up to 80mph, the DMAXs are unquestionably the fastest hire karts available in the UK today. 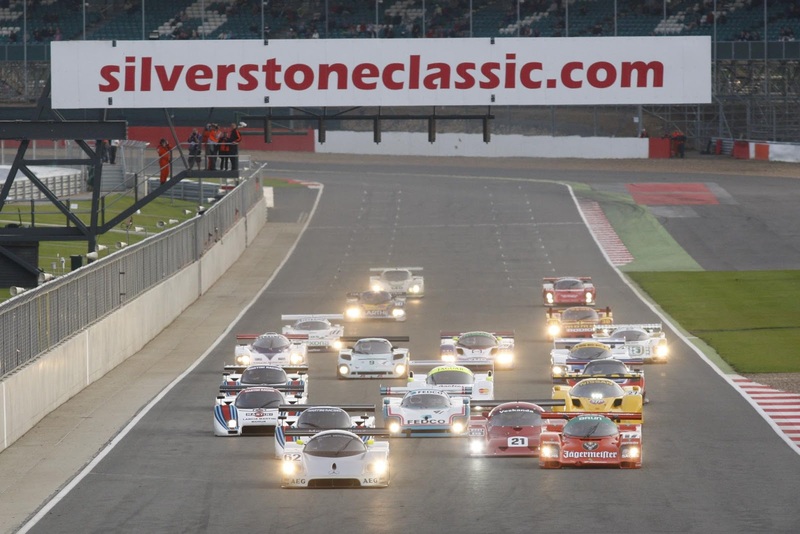 This summer’s Silverstone Classic (26-28 July) is all set to be another record breaker following confirmation of an action-packed programme of 24 races spanning eight decades of glorious motor sport history. Already firmly established as the world’s biggest classic motor racing festival, the mouth-watering line-up for 2013’s extravaganza features all the hugely popular historic Formula One, sportscar, GT and touring car grids that produced such close racing last year… plus a further three grids to be announced in the coming weeks. The Historic Grand Prix Cars Association (HGPCA) will be out in force with packed grids for both spectacular pre-1961 and pre-1966 F1 cars that revisit five decades of technical rivalries from the Bugattis of the 1920s, through the Maseratis and Ferraris of the 1950s to the dawn of the rear-engine epoch in the early 1960s when British-based constructors such as Brabham, Cooper and Lotus came to the fore. Harking back to what many believe were the halcyon days of the world famous Le Mans 24 Hours event, no fewer than five sportscar and GT grids are also on the unrivalled Silverstone Classic bill. 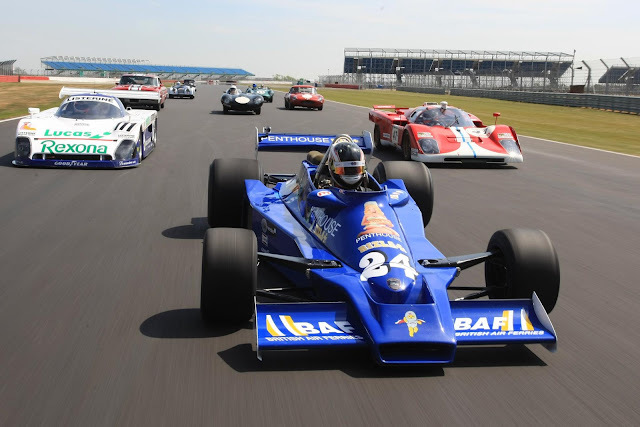 To house so much exotic and priceless motor sport history, the massive event will again fill both Silverstone’s National and new Wing pits and paddock complexes. 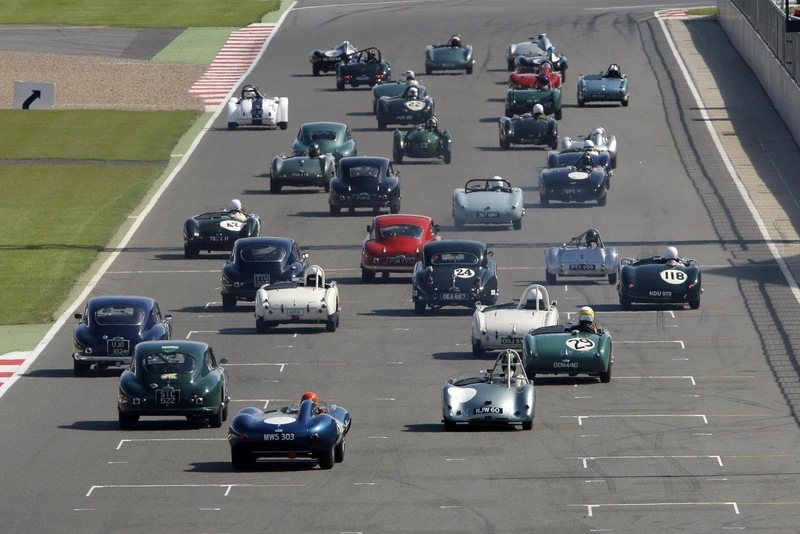 The non-stop racing schedule, organised by the HSCC, is staged on the full Silverstone Grand Prix circuit with many races boasting fully-subscribed 58-car grids. A very wide range of racing cars line up for the Silverstone classic. Adding to the Classic weekend’s enormous appeal, all tickets give free access to both racing paddocks as well as trackside grandstands and live music concerts on Friday and Saturday evenings. Tickets must be purchased in advance. Those booking before the end of March can take full advantage of special ‘Early Bird’ prices with adult tickets starting from just £30 (plus fees). Considerable savings are on offer for festival goers spending the full weekend at Silverstone and special packages for car clubs and their members are also available. Full details can be found on the official www.silverstoneclassic.com website. 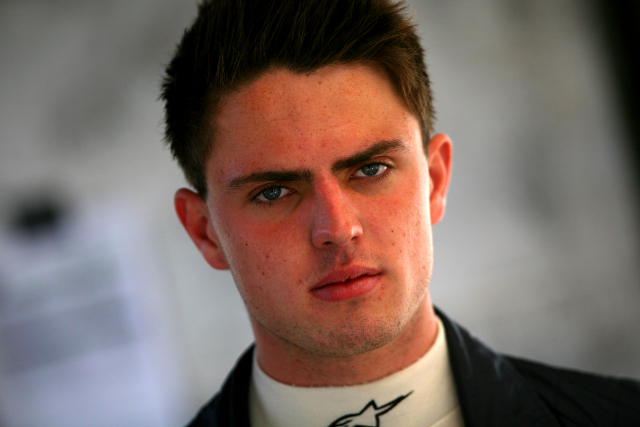 Up and coming British racer Jake Dalton will join the BRDC Formula 4 Championship for 2013 after signing to race for Mark Godwin Racing (MGR). The 17-year-old from Audley in Staffordshire began karting in 2005 and quickly climbed the ranks with strong results in the Rotax Mini Max Championship, KF3 Championship and the BRDC Stars of Tomorrow. In 2011 he made his car racing debut with a test in a Formula Ford followed by a race in the InterSteps Championship where he recorded a best of fifth in the final round at Croft. The following year he took part in his first full season of slicks and wings competition in Formula Renault BARC racing with MGR. Jake enjoyed an encouraging season to finish as top rookie and eighth overall with one podium and eight top 10 finishes. For more information on Jake Dalton or MGR visit the teams and drivers section on the F4 website -www.formula4.com. After a very successful 2012 where £2,500 was raised for four charities the Rally2Raise project will continue in 2013. The project, founded by Aberdeen's Rachel Clark, is using motorsport to raise funds and awareness for charitable causes and for this year the Nystagmus Network will once again be supported. “We also published our ‘The Challenge of Nystagmus’ book and wrote a new ‘easy guide to nystagmus’ for teachers. All of these achievements were only possible thanks to the support of Rally2Raise and many other fundraisers and donors. 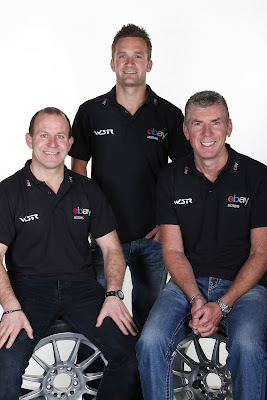 We hope to do a lot more in 2013 and are really pleased that Rally2Raise continues to support us." In addition Rally2Raise will help raise awareness of the Bottle Stop campaign, a campaign started by Jane Sherriff after her husband tragically died after being attacked and stabbed with a broken glass bottle at a corporate event In London. The aim of the campaign is to ban glass bottles from late night pubs and clubs. 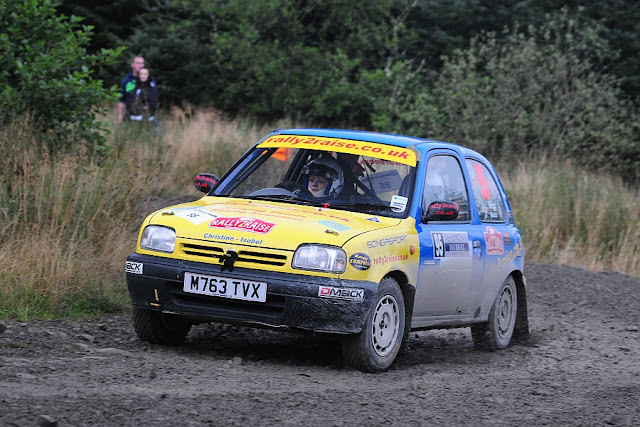 Rally2Raise has already had a great start to the year with the news that the Saltire Rally Club have very generously agreed to continue their support, part of which will involve the Rally2Raise Micra running as course car on the popular Saltire Classic rally in March. Rachel is hoping to compete on selected Scottish Rally Championship events this year but her first event will be running as course car on the E.Watson and Son Coneyhatch rally time trial next Sunday. Rachel commented: "I'm delighted that Rally2Raise was such a success last year and we are hoping to build on that this year. I'd like to thank everyone who has supported us, we raised far more than I expected and I think the awareness raising, particularly of the lesser known causes such as nystagmus, went really well." For more information please visit http://www.rally2raise.co.uk or follow the team on Facebook http://www.facebook.com/rally2raise and Twitter @rally2raise. As it enters its eighth season, the Goodwood Breakfast Club for 2013 promises another tantalising mix of great vehicles and a hearty Goodwood organic breakfast. 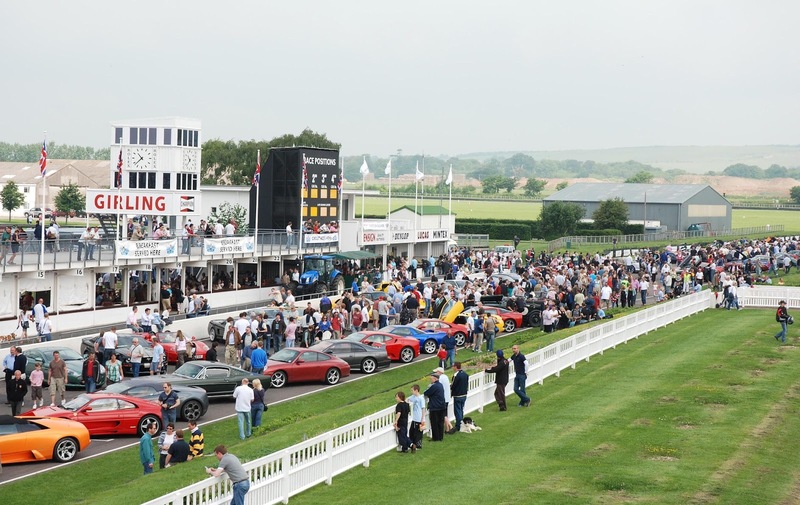 Often copied, but never bettered, Goodwood’s first-Sunday of-the-month events remain the original and authentic Breakfast Club, with free admission to all visitors. The Goodwood Breakfast Club is firmly established as a ‘must attend’ event for thousands of car and motorcycle connoisseurs who appreciate an enjoyable Sunday morning drive through the quiet West Sussex country roads down to Goodwood, where they are able to meet like-minded enthusiasts, admire some fabulous machinery, and eat a tasty Goodwood organic breakfast, before heading back home in time for the Sunday roast, to do a bit of gardening and DIY, or simply put their feet up and watch the Grand Prix! 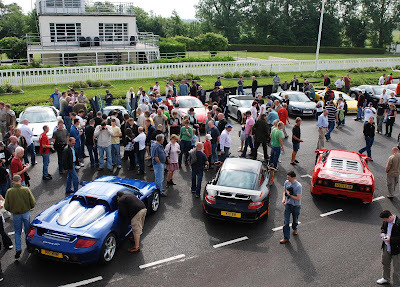 For the 2013 Breakfast Club season, Goodwood will offer a range of popular themes that cater for all enthusiasts and vehicle types. As in previous years, the Breakfast Club meetings will be held on the first Sunday of the month at the historic Goodwood Motor Circuit, starting a March, with the exception of July and September, when the hugely successful Festival of Speed (11-14 July) and Goodwood Revival (13-15 September) motor sport events will be held. The breakfast club offers an impressive array of cars to see - and good cooking! The 2013 Breakfast Club meetings promise an eclectic mix of vehicles and a tempting breakfast menu to whet the appetite of any motoring enthusiast. Each meeting is themed to appeal to a strong petrolhead audience who own an interesting and diverse selection of motor vehicles. The dedicated and detailed Goodwood Breakfast Club website has regular updates on each monthly theme, and visitors are encouraged to pre-register online at (www.goodwood.com/breakfastclub) to help ensure a prime parking position with a theme-relevant vehicle. 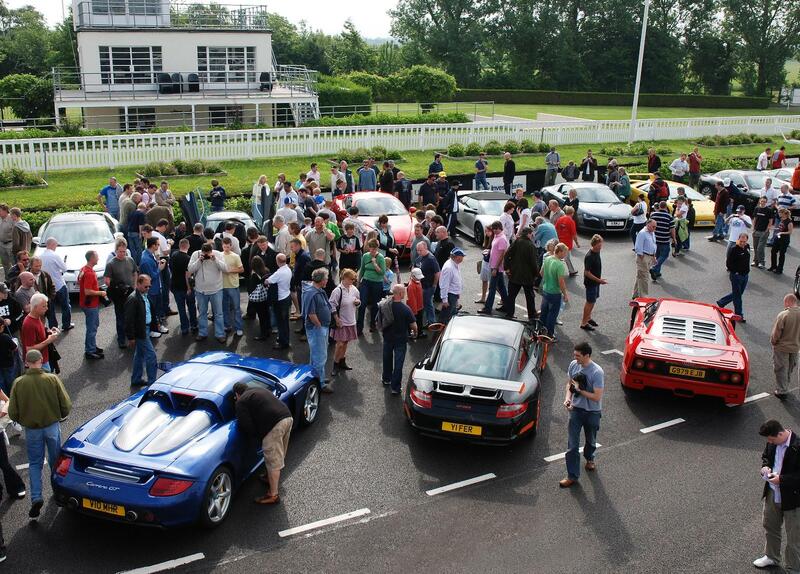 A full list of the 2013 Goodwood Breakfast Club dates and themes follows. Pre-1973 tax-free classics, plus modern eco-friendly vehicles, with a nod to key anniversaries, including the Centenary of the Vauxhall 30/98, 60 years of the Corvette, 50 years of the Mini Cooper S and Lotus Cortina, etc. A celebration of Japanese cars, motorcycles and commercial vehicles. All 2013 Goodwood Breakfast Club events will be staged from 08.00 to 12.00 hours on the first Sunday of the month (except July and September due to the proximity of major Goodwood motor sport events). 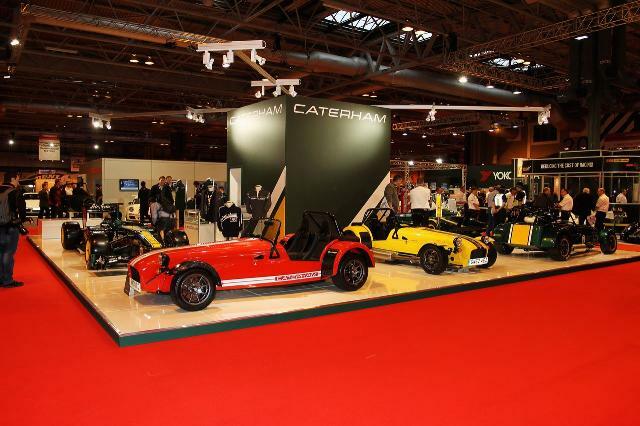 The Caterham Group’s first exhibition as a united set of companies at this year’s Autosport International Show was a huge success, with the display winning the show’s Best Overall Stand award. Showcasing, for the first time, the expertise of Caterham’s Composites and Technology & Innovation (CTI) arms alongside the iconic brand’s road and race cars, the display was executed by exhibition and events expert, SO Group. 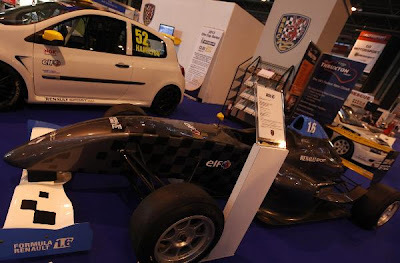 Alongside the first prototype of the Caterham CK-01 racing kart and various Seven track and road cars, the stand featured Caterham F1 Team’s 2012 F1 car and a selection of engineering projects spearheaded by CTI. These included a high-output development engine for the Seven, a supercharger concept and a carbon fibre composite car door, all displayed on bespoke stands. Caterham Marketing & Communications Manager, James Drake, said: “It’s wonderful that, on the first occasion that all the arms of the Caterham Group come together, our stand is impactful and interesting enough to be voted the best at the Autosport show. SO Group Sales Director Simon Clifton said: “We were asked by The Caterham Group to be involved with their exhibition at conception stage. They had a very clear vision of what was required from the stand and SO Group has thoroughly enjoyed helping them bring that vision to life. Honda BTCC team takes home trophies - before the 2013 starts! The Honda Yuasa Racing team have kick-started 2013 in a winning fashion by adding four more top achievements to their awards cabinet. 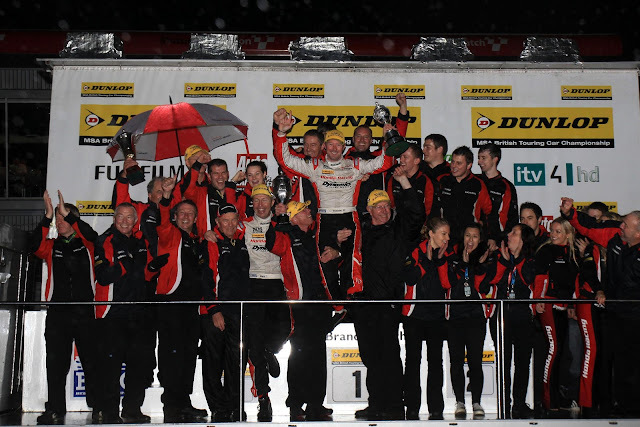 Hot off dominating the 2012 Dunlop MSA British Touring Car Championship by claiming all three titles on offer, the Honda Yuasa Racing Team has been named as the winner of the ‘Teamwork’ Award at the prestigious Motorsport Industry Association (MIA) Business Excellence Awards. Jayne Thomas from the MIA commented; “The MIA Awards are for business excellence and the Teamwork Award recognises the significant and varied management issues which must be overcome, throughout the season to win any major motorsport Championship. Barry Plowman, Technical Director at Team Dynamics, who collected the trophy at the Awards ceremony which took place at the 2013 Autosport Show added; “To be nominated for this award against high-profile competition such as Red Bull Racing, Silverstone Circuits, and the RML/Chevrolet WTCC team was a great achievement in itself, but to go and win is a fantastic accolade and one which everybody involved in our 2012 BTCC programme should share. Not only were the team recognised by industry peers, the fans have also spoken. The readers of TouringCarTimes have voted the Honda Civic the best car of the 2012 British Touring Car Championship and Honda Yuasa Racing as the best team, while Gordon ‘Flash’ Shedden topped the driver vote by a landslide. 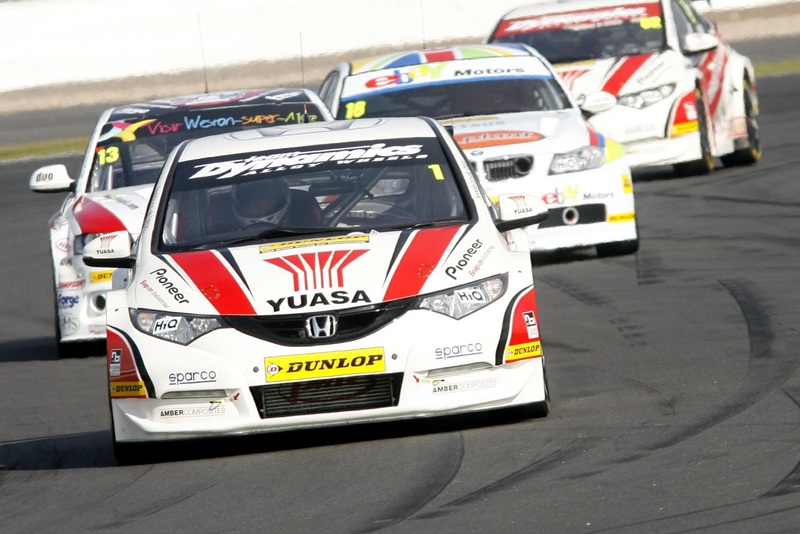 These accolades are a great finish to a fantastic year which saw the Honda Yuasa Racing team and drivers Flash and Matt Neal behind the wheel of the NGTC specification Civic dominating the 2012 season by claiming a total of 13 victories throughout the year. The season ended on a high at Brands Hatch in October with Flash claiming his first Drivers title and the team collecting the Manufacturers/Constructors title and HiQ Team’s trophy. 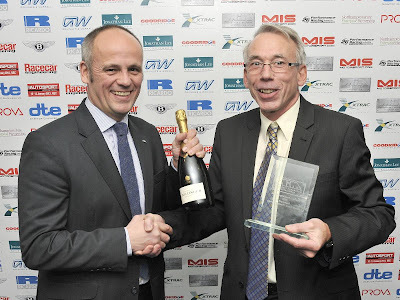 Peter Crolla, Team Manager, Team Dynamics, concluded; “It’s great to receive recognition from the readers of TouringCarTimes for these three awards and it adds to the team’s motivation in the build-up to the start of the 2013 season. The Honda Yuasa Racing team will once again be lining up on the grid when the 2013 Dunlop MSA British Touring Car Championship kicks off with qualifying at Brands Hatch on 30 March. As Goodwood pushes ahead with its exciting plans for the 20th anniversary Festival of Speed (12-14 July), a rich seam of top motor racing names can already be confirmed to be attending this summer’s must-attend Festival, celebrating the best of the first 20 years of this, the world’s most popular motor sport and car culture event. 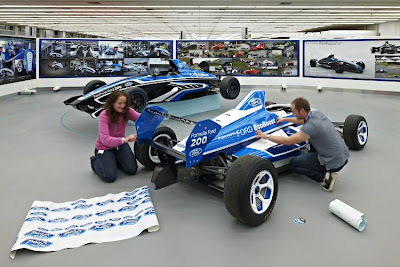 With 25 weeks still to go until the 2013 Festival of Speed gets underway, Goodwood is already able to confirm a couple of dozen star competition drivers and riders in attendance, with an impressive number of significant motor sport victories between them. 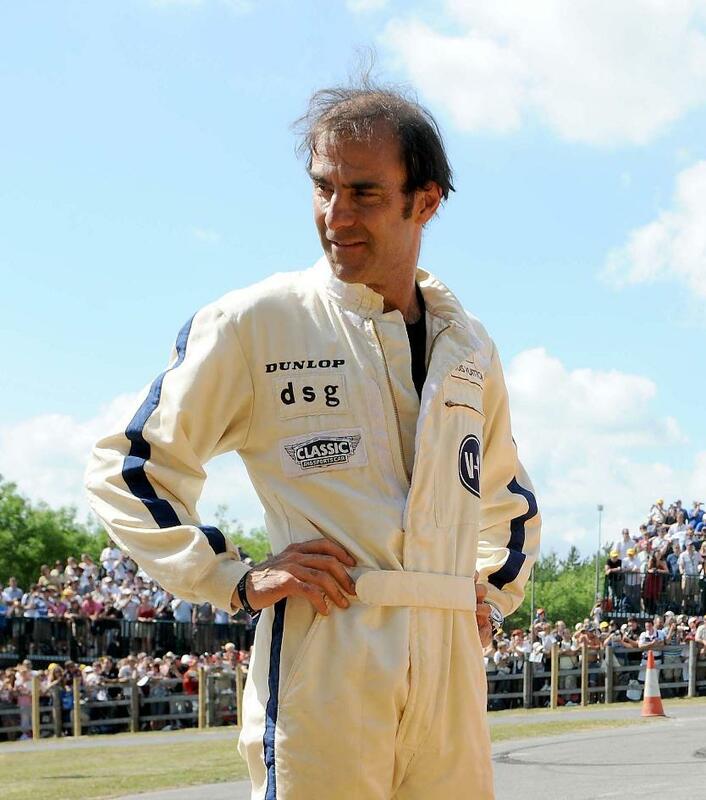 Between them, drivers set to appear at Goodwood this July have achieved 20 Grand Prix wins, as well as 12 Le Mans 24 Hours victories, four Indy 500 wins, four BTCC Championships, and four Targa Florio chequered flags. Many other star drivers and riders – yet to be confirmed – plus cars and motorcycles from each of the world’s major motor sport disciplines, past and present, will also be featured at Goodwood, including champions from Formula 1, Indycar, the World Rally Championship, Superbikes, NASCAR, World Sports Cars and Touring Cars. Goodwood will recapture many of the outstanding Festival of Speed moments from the 1993-2012 era, whether that’s great cars from the USA and elsewhere making a rare return to the UK; or famous car/driver pairings reunited, including all manner of memorable - and often outrageous - contraptions on the 1.16-mile hillclimb. These, along with a host of vehicles and competitors new to Goodwood, and a number of unexpected treats, will provide a fitting birthday party for the world’s greatest celebration of motor sport history and car culture. 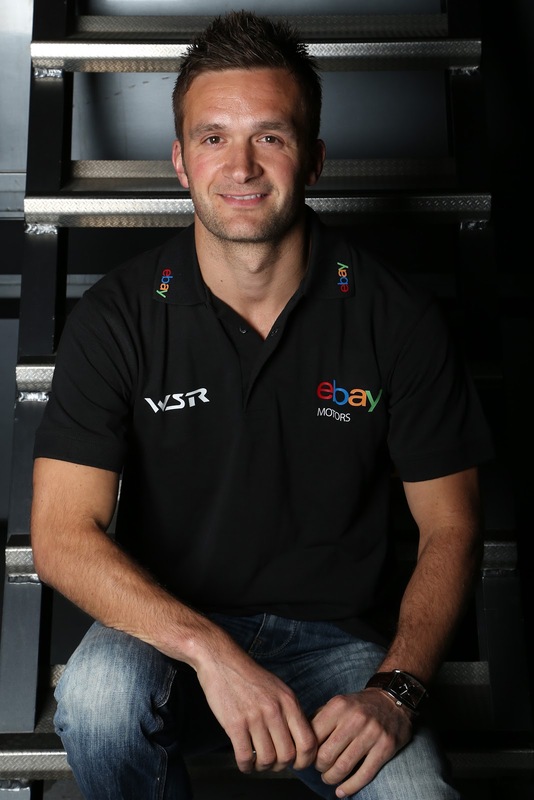 eBay Motors announces Colin Turkington will be joining its driver line up for the 2013 Dunlop MSA British Touring Car Championship (BTCC). The 2009 BTCC Champion joins Rob Collard and Nick Foster in the new NGTC specification BMW 125i M Sport cars, as they launch their three-pronged attack on the Championship. 2013 is the fourth season in the BTCC for eBay Motors, the UK’s leading online automotive marketplace, and looks to be the most exciting yet. The first race of this year’s Championship takes place at Brands Hatch on the 31st March 2013, with the Media Day at Donington on the 21st March. Following a hugely successful year of motorsport in 2012, the Japanese brand of high performance and motorsport tyres, Yokohama, is looking forward to another noteworthy season this year. 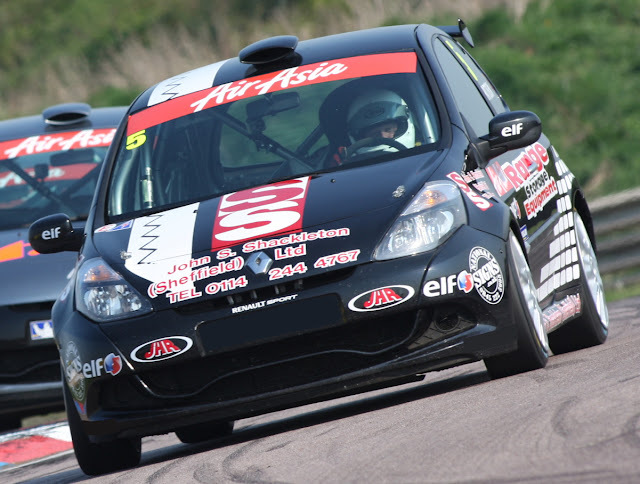 Continuations of existing relationships and new race series will see even greater penetration for the brand in motorsport, in the UK throughout 2013. The brand has been selected as control tyre for two of the newest and potentially most exciting formulae for the 2013 season. 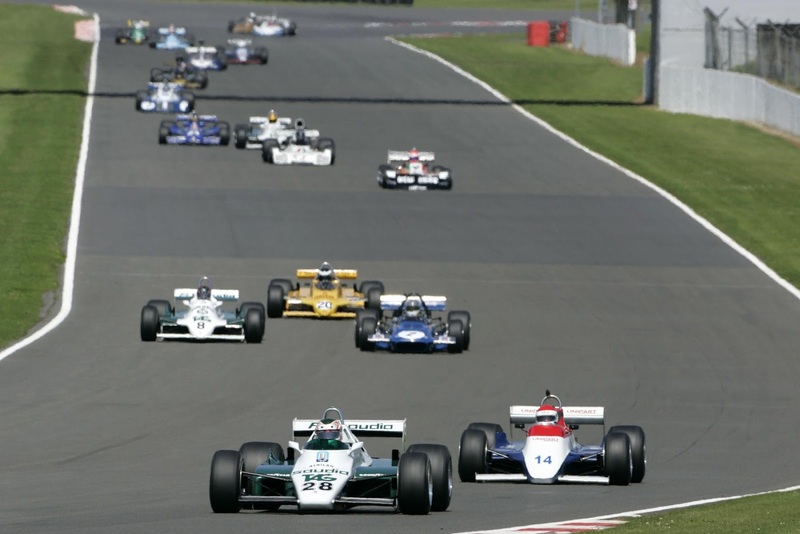 Formula 4 is a new series, run by the British Racing Drivers' Club, the BRDC. Based on identical cars owned and run by teams or individual drivers, the series is based on three races per weekend at some of the UK's most prominent circuits. Identical engines, transmissions and chassis but with huge set-up options mean that the emphasis will be on drivers feel and ability, generating what promises to be exceptional racing. Another new series to feature Yokohama as control tyres is the Atom Cup, the first race series created for race-prepared versions of the legendary high-performance Ariel Atom road cars. The series will feature two races over each race weekend and visit eight circuits around the UK. The series will be run under three packages, catering for drivers with a wide range of budgets and based on the success of similar series run in America, should provide excellent, cost effective racing for experienced, as well as novice, drivers. 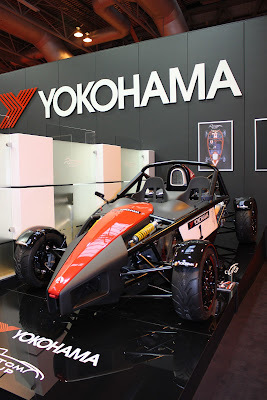 Yokohama will continue with its numerous relationships with race and rally series in the UK, including Formula 1000, which allows young drivers to start in rallying before they turn 17, the Caterham Academy and of course, Sports 2000. 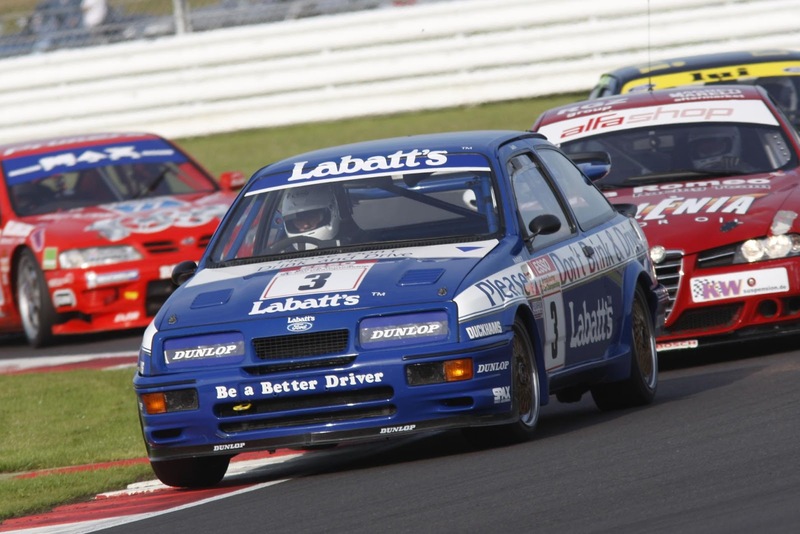 It will also continue as tyre supplier to the Irish Touring Car Championship, which sees exciting racing in a two-class structure in Ireland, for Touring and Super Touring-specification cars. The UK distributor, Yokohama HPT Ltd, will also introduce the new radial tyres for sidecar racing, an area it has enjoyed notable success in recent years, particularly in the world-famous Isle of Man TT races. Tyres are already in production for F2 specification outfits and testing on F1 class machinery will begin in the New Year. Commenting, Head of Motorsport at Yokohama HPT Ltd, Mark Evans, said; "2012 was a fantastic year for Yokohama in all forms of motorsport and it looks as if 2013 will go one step further... In the UK, we're very excited to be involved in both Formula 4 and the Atom Cup. F4 looks to be a fantastic start in single seat racing for up and coming drivers looking for a series that will allow their talent to shine through. And the Atom Cup has given racers something they have been looking for for some time - a genuine race series for the Ariel Atom." For more information on Yokohama and its motorsport involvement, go towww.yokohama.co.uk. Join Kart Force as they take on celebrity drivers with the help of former Stig Ben Collins in a 3 hour endurance race at Autosport International. Featuring interviews with Johnny Herbert, Ben Collins and former Premiership Footballer, Robbie Savage. More Johnny Herbert coming soon. Check out our highlights of the Autosport International 2013 Live Action Arena, presented by Chris Lucas and Rosemary John. This year's show features Freestyle Motocross, Autograss, BRSCC Porsche Boxsters, F1 Stockcars, Terry Grant in an Aston Martin and even a monster truck. oh, and the world debut of the RR Racing Project. wonder what that is? Since 1967, Formula Ford has been a staple of British and indeed international motorsport. 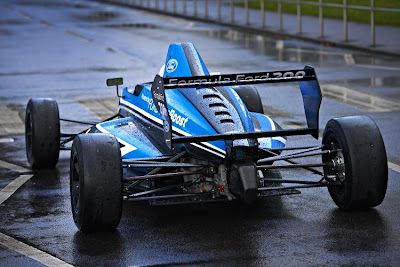 Now the latest incarnation of the Formula Ford car has something none of it's predecessors have... Wings! 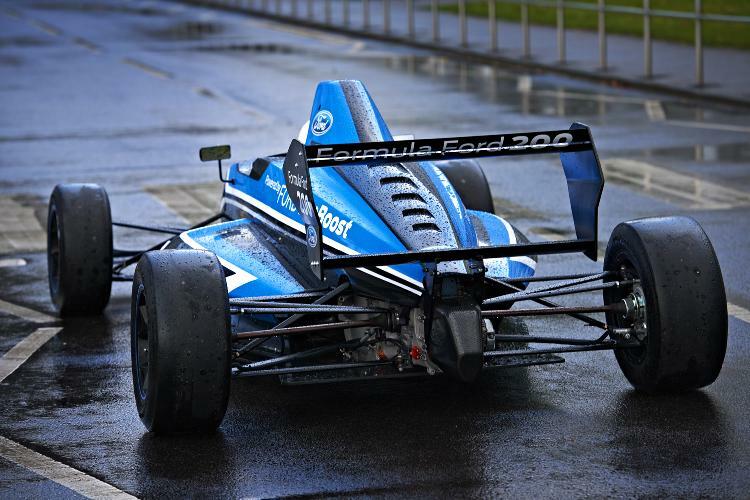 Launched at the Autosport show the new Formula Ford 200 features a 1600cc Ecoboost engine with 200bhp, and looks fantastic. 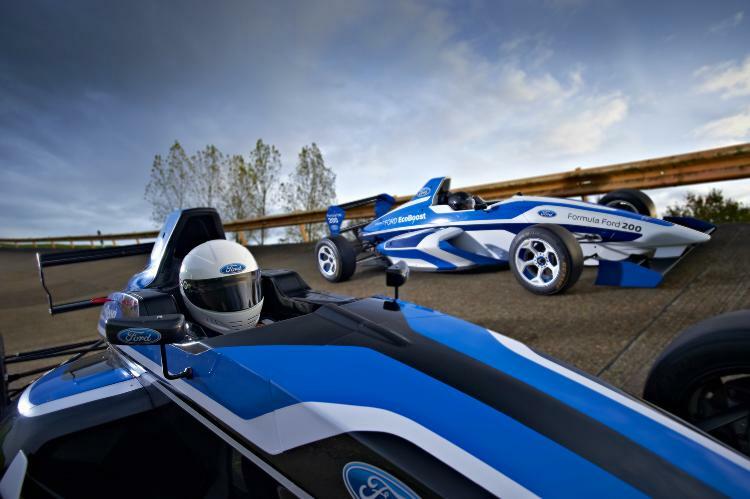 Overdrive's Chris Lucas spoke to Ford Racing Europe's manager, Mike Norton. 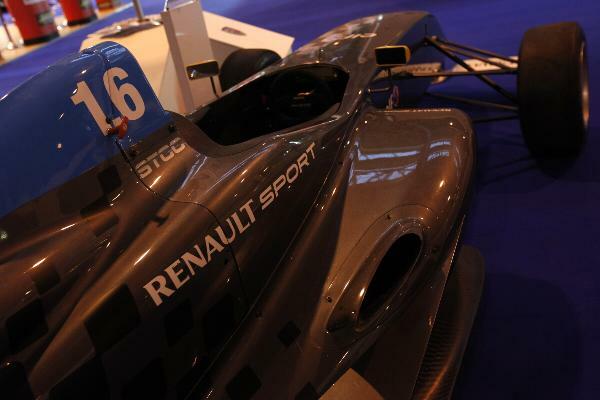 Representatives from the British Automobile Racing Club (BARC) today, Thursday, 10th January, gave drivers, teams and members of the media their first chance to see the Formula Renault 1.6 car on UK soil during the opening day of the 2013 Autosport International Show at Birmingham NEC. Presenting the ‘junior’ Formula Renault chassis to the biggest possible audience at the world’s most popular and heavily attended motorsport show of its kind, the BARC is evaluating interest shown by competitors and teams ahead of a planned introduction of the car into British motor racing in 2014. Designed and constructed by Signature in France and powered by a 1.6-litre Renault engine, which produces 140bhp, the all-carbon Formula Renault 1.6 is a perfect entry-level single-seater for young drivers who are making the move into car racing for the first time. With the hugely successful and cost-effective Protyre Formula Renault Championship having grown significantly in recent years under the stewardship of the BARC, the Thruxton-based organisation is confident the time is right to consider bringing a new, sensibly priced, standalone Formula Renault 1.6 Championship to UK shores to run alongside the sister category. “We’ve been delighted with the interest shown in the 1.6 car already on just the opening day of the show”, said Protyre Formula Renault Championship promoter Simon North, “It’s a fantastic car for young drivers planning on moving up from karting or, indeed, those who are new to motorsport and considering a potential career in single-seaters. Formula Renault 1.6 will run in northern Europe this year with two championships established, the first running alongside the Formula Renault 2.0 Northern European Cup as an ‘NEC Junior’ series and the other as a Scandinavian Championship mainly based in Sweden. Young race drivers from across the globe are eyeing this season’s new-look Dunlop MSA Formula Ford Championship of Great Britain. Competitors from 10 countries have registered firm interest with series organisers. With 10 weeks until the opening round, officials are delighted with the response to the major changes introduced to the category for 2013. 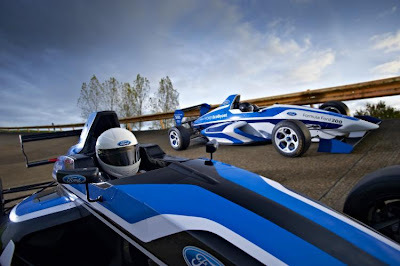 “We’re hugely encouraged at the interest shown by teams and drivers,” said Ford Racing motorsport manager Mike Norton. Norton attended today’s opening day of the Autosport International racing car show in Birmingham, England, where the new Formula Ford EcoBoost 200 car is on display until Sunday. “The number of serious inquiries from international drivers who are considering committing to the series has exceeded our expectations. “Competitors from USA, Finland, South Africa and Argentina, countries that are regular participants in the championship, have either tested a car or been in talks. But what is particularly encouraging is that we’ve had similar interest from drivers in Greece and Norway. 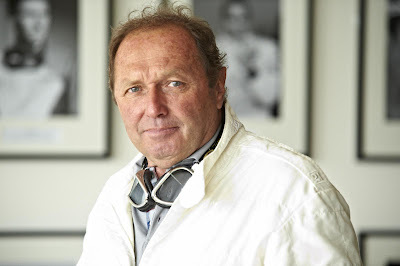 “The Autosport show traditionally raises the curtain on the motorsport season and we’ve maintained the strong momentum here by displaying the car and meeting with other prospective competitors and teams wishing to join us for 2013,” added Norton. 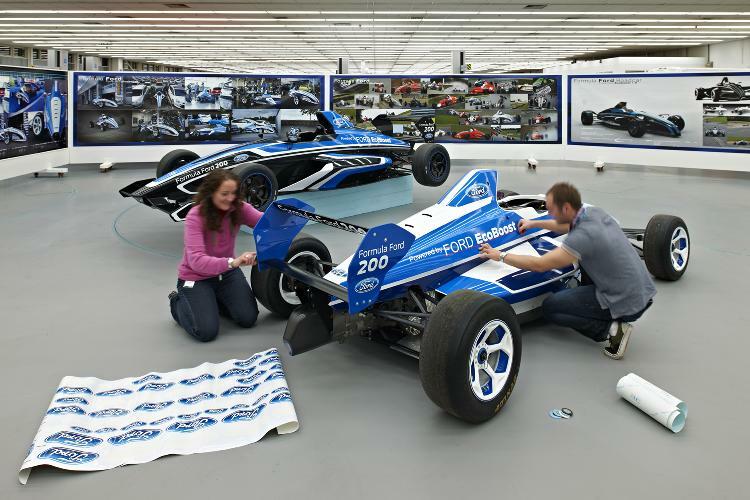 The new high-tech EcoBoost 200 car will provide racers with the world’s most technically advanced junior single-seater cars. Increased power from the turbocharged engine allied to the introduction of aerodynamic front and rear wings, one of the biggest technical advances in the championship’s history, will transform the car into the UK’s fastest junior single-seater. The 1.6-litre unit is a proven and reliable entity. It is the same downsized, high-efficiency EcoBoost engine as used in Ford’s latest production cars and has a successful season’s race development behind it. For 2013 its electronics will be remapped to boost power output in excess of 200PS. The chassis complies fully with the FIA’s latest stringent safety requirements equivalent to that of Formula 3 and also boasts a Formula 3-specification six-speed gearbox and on-board data logging and track mapping. Ford of Europe’s design team played a key role in the look of the car. Its input ensured the EcoBoost 200 visually reflects the successful kinetic design styling cues synonymous with Ford’s product line-up. Formula Ford has an increased profile to match, as a support series to the Dunlop MSA British Touring Car Championship for the next three years. The agreement delivers live TV coverage at each of the 10 race weekends, incorporating 30 races, on UK terrestrial channel ITV4. The calendar begins on 30 / 31 March at Brands Hatch and visits Donington Park, Thruxton, Oulton Park, Croft, Snetterton, Knockhill, Rockingham and Silverstone before returning to Brands Hatch for the final rounds on 12 / 13 October. This weekend racing fans got a real treat at Europe’s largest dedicated motorsport exhibition, The Autosport Show, as drivers from all areas of motorsport came together to celebrate racing on four wheels. This year’s Autosport Show illustrated a real celebration of the Honda Yuasa Racing team and current British Touring Car Champion Gordon ‘Flash’ Shedden. Contemporary British artist Ian Cook, known as PopbangColour, paints using only radio controlled cars, car tyres and toy car wheels and as the Honda Civic Type R was the first car Ian painted in this unique way, he felt right at home tackling a Honda again. Gordon Shedden’s 2012 BTCC winning Honda Civic was a natural choice for this year's Autosport Show. While working on a project in Europe during the final round of the 2012 BTCC season, Ian used the Popbangcolour Twitter feed to announce that he would create the car that won the championship as an artwork at Autosport. With Flash crowned champion, Ian arranged to create the artwork live on the Popbangcolour.com stand on the public days of the event. Ian’s work of the BTCC Civic unfolding was shown live on the @HondaRacingBTCC Twitter feed as well as the @Popbangcolour Twitter feed throughout the event, with further images uploaded to www.facebook.com/HondaRacingBTCC. Tillotson, one of the oldest manufacturers of carburettors in the world, will be the title sponsor for the 750 Motor Club-run Formula Vee Championship, the Club has announced. The sponsorship funding will mean that competitors in the single-seater championship, which enjoyed a boost in entry levels in 2012, will benefit from regular tyre draws at each round of the 2013 Tillotson Formula Vee Championship. Two tyres will be won by a competitor at each of the seven double-header events next year, following a similar pattern to that already established in several of the Club’s other championships. The 2013 Tillotson Formula Vee Championship, which will be run over 14 races, begins at Donington Park on 23 March. The Club has held entry fees at the same level as the 2012 season despite increasing circuit hire fees.